The restaurants at Rosen Inn at Pointe Orlando will satisfy your taste for good food and great value. Enjoy all-you-can-eat buffets; perfect deli selections; fresh, made-to-order pizza; favorite lounge beverages; and a late-night bar menu. While here try our specialty pizza, Rosen’s Perfect Pizza, made with a whole wheat crust, turkey pepperoni, and low-fat mozzarella cheese. Our pizza goes perfectly with our specialty micro-brew, Alligator Drool. This meal is available in Zebra’s Sports Bar & Grille, Plaza Garden and Lite Bite. This buffet restaurant showcases elaborate spreads for breakfast or dinner in a delightful setting. 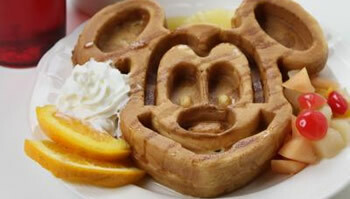 Our signature Mickey Mouse waffles and evening ice cream bar add just the right sweet touch to the dining experience. Evening menus change nightly so you’ll always have new cuisine to explore. Check out the full food and alcohol menu should you desire a unique plated meal. Looking for some well-loved comfort food? Our specialty pizza is baked fresh and to order. For our guests who take coffee seriously, we’re now serving Seattle’s Best Coffee™. Save on dining costs with our Kids Eat Free program: children 5 years of age and under eat free with a paying adult, one child buffet per each paying adult buffet. 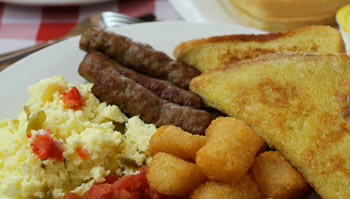 Children ages 6 – 10 enjoy a discounted rate for breakfast and dinner. Seniors (55+) enjoy a 25% discount all night on the dinner buffet. Open 6:30 – 10:30 a.m. for breakfast and 5:00 – 9:00 p.m. for dinner. Some items are subject to change. From sundries to toiletries, snacks, and light meals to go, you’ll find all types of convenience items in our well-stocked Lite Bite Mini-Market and Deli. Lite Bite also sells sandwiches, salads, fresh-made pizza, chicken wings, burgers, an extensive selection of beverages, and grab and go breakfast items. Need a great pick-me-up drink? Indulge yourself with a serving of Seattle’s Best Coffee™. It’s open 24 hours a day to satisfy early morning and late night cravings. The Lite Bite Mini-Market & Deli is located adjacent to the lobby and features a large outdoor seating area. Enjoy your favorite beer, wine or spirit in the relaxed atmosphere at Zebra’s Bar & Grille, located just off the lobby. Meet with friends for drinks or grab a bite to eat while watching a game on one of our eleven HDTVs. Enjoy nightly happy hour drink specials and live entertainment or Karaoke on most evenings. Sit inside or relax on our outdoor patio deck while dining on fan favorites like our Rosen’s Perfect Pizza® or a juicy cheeseburger with fries. Grille menu is available for eat-in and carry out. Open daily from 3 p.m. until late. Start the day with a delicious premium coffee beverage, gourmet pastries, fresh squeezed orange juice or a fresh-made fruit smoothie. Smoooth Java Coffee Bar & Gifts™, located in the lobby, proudly serves Starbucks® coffee, teas, and drinks. Our café includes books and wide selection of gifts and souvenirs. Open daily at 6:30 a.m. – 10 p.m.
Smoooth Java Ice Cream Bar, located in the lobby inside Smoooth Java, proudly serves hand-scooped Blue Bunny® ice cream, sundaes, and milk shakes. Beat the heat with a tasty treat!